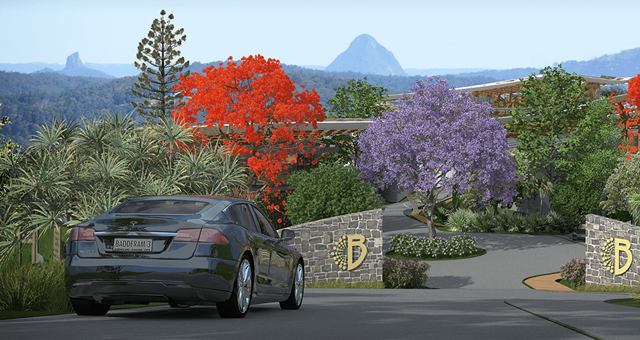 The Sunshine Coast Council has given approval for the development of the Badderam Eco Luxe Resort & Spa in the heart of Buderim. 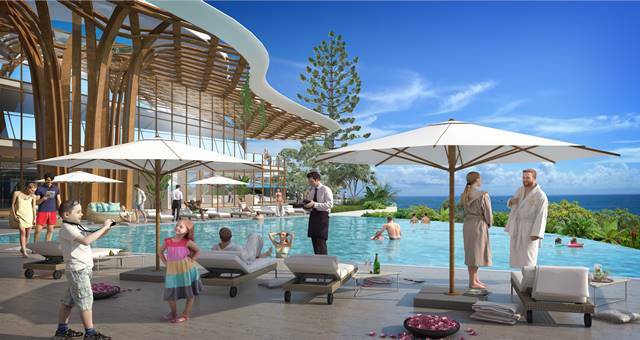 It will be the first major 5-star hotel and conference centre developed on the Sunshine Coast for some 30 years and will coincide with the launch of the Sunshine Coast’s new international airport in 2020. Badderam’s developers, Heidi Meyer and Kim Carroll, welcomed Council’s approval saying that the resort would be “an ecological and site-sensitive experience in conservation”. “The Badderam Resort is intended to be a discerning destination in which visitors and locals can delight,” they said. The luxury eco-resort will be built in one of the Sunshine Coast’s most attractive areas – Buderim – in a bushland setting on an ancient volcanic mountain known to the local Kabi Kabi peoples as ‘Badderam’ mountain, just ten minutes away from the famed beaches of the Sunshine Coast. Badderam Resort will showcase both Australia’s Indigenous culture and state-of-the-art environmental initiatives, with the resort being built with a 6-star ‘Green Star’ building rating, and aiming to be Queensland’s first zero waste eco resort, using a locally built OSCAR to compost 50% of waste. 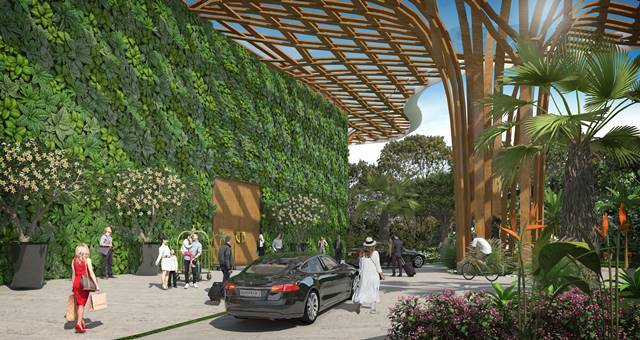 The resort will comprise 111 rooms and suites, three restaurants and bars, a 10-room wellness day spa and health centre, a heated resort style pools and hot tubs, wine tasting room and wine cellar, and extensive conference and function facilities. Other services planned include a crèche, a cookery school, a chauffeur service and a Tesla electric vehicle fleet for complimentary guest usage. Visit Sunshine Coast CEO Simon Latchford said the Sunshine Coast was fast becoming a beacon for domestic and international tourists looking for an environmentally and family friendly destination. “This is exactly the type of investment that the Sunshine Coast economy needs,” Mr Latchford said. “The jobs and economic benefit that Badderam Eco Luxe Resort & Spa will bring makes it a must-have project for the region.